The 16th Infantry Regiment ("Semper Paratus") is a regiment in the United States Army. It has traditionally been a part of the 1st Infantry Division. The 16th Infantry was constituted as the 11th U.S. Infantry on May 4, 1861. The 11th Infantry was organized by direction of the president May 4, 1861 and confirmed by the act on July 29, 1861. The regiment was organized into three battalions of eight companies each. On September 21, 1866 under the act of July 28, 1866 the Second Battalion became the Twentieth Infantry and the Third Battalion the Twenty-ninth Infantry. The regiment that actually fought during the Civil War was organized by order of the president May 4, 1861 and confirmed by the act of July 29, 1861 as the 16th Infantry Regiment. On September 21, 1866 under the act of July 28, 1866 the Second Battalion became the Twenty-fifth Infantry and the Third Battalion became the Thirty-fourth Infantry. In actuality the present 16th Infantry was not involved in the Civil War, that regiment was consolidated into the 2d Infantry. The following campaign participation honors were actually earned by the 16th Infantry in the Civil War but went to the 2d Infantry with the consolidation; Atlanta, Chickamauga, Chattanooga, Georgia 1864, Kentucky 1862, Mississippi 1862, Murfreesboro, Shiloh and Tennessee 1863. The 1st Battalion, 11th U.S. Infantry (today's 16th Infantry Regiment) was initially organized at Fort Independence, Massachusetts, in the summer and fall of 1861. That October, the regiment was transferred to Perryville, Maryland, to prepare for Major General George B. McClellan's upcoming spring campaign on the Virginia Peninsula. Assigned to the Army of the Potomac's 2nd Division, V Army Corps in the spring of 1862, the regiment fully participated in most of the key battles of that campaign to include the Siege of Yorktown (1862), Gaines's Mill, and Malvern Hill. The regiment participated in the Second Battle of Bull Run in August. This clash was quickly followed in succession by the regiment's involvement at the Battle of Antietam, the Battle of Shepherdstown and the actions Leetown that fall. In December 1862, the regiment fought at the Battle of Fredericksburg and at the Battle of Chancellorsville in May 1863. A month later, the 1st Battalion, 11th U.S. Infantry fought what was arguably its most significant action of the war at Gettysburg. In heavy fighting in the Rose Wood and Plum Run Valley between the Devil's Den and the Wheatfield, the regiment lost about 50 percent of its strength as it fought to contain James Longstreet's breakthrough of the Union Third Army Corps at the Peach Orchard. During the spring and summer of 1864, the regiment participated in General Ulysses S. Grant's Overland Campaign and fought at the battles of the Wilderness, Spotsylvania, Jericho Mills, Cold Harbor, and finally in the Siege of Petersburg. In November the regiment was sent to New York for a short period, then after short stints at Lafayette Barracks in Baltimore and Camp Parole (Parole Camp) at Annapolis in Maryland, it was returned to the Army of the Potomac to perform duties as part of the Army of the Potomac's Provost Guard in February 1865. By the spring of 1865, only a few of those soldiers sworn in at Fort Independence in 1861 were still present to participate in the regiment's last wartime task—to help disarm General Robert E. Lee's weary Confederates at Appomattox that April. On 18 April 1869 Headquarters, Staff, Band and the remaining companies of the 16th Infantry Regiment were consolidated with the 2d Regiment of Infantry and the consolidated unit designated as the 2nd Infantry Regiment. Colonel Samuel W. Crawford, 16th Infantry, took command of the consolidated 2d Infantry because of his seniority. Reorganized April 14, 1869, under the act of March 3, 1869, the present 16th Infantry was formed by the consolidation of the Eleventh (11th) and Thirty-fourth (34th) Regiments of Infantry. The 34th Infantry was organized by direction of the president May 4, 1861 as the Third Battalion, 16th Infantry and designated Thirty-fourth Infantry on September 21, 1866 under the act of July 28, 1866.The honors and battle history earned by the 11th Infantry during the Civil War became the 16th Infantry's with the 1869 consolidation and are displaying on its colors. Following the Civil War the 16th took part in the reconstruction of the south and then performed duty on the frontier-the Indian Wars. The 16th participated in the capture of San Juan Hill with the V Corps. The 16th later fought in the Philippine–American War. It fought 27 engagements with the greater part of its activities concentrated against the rebels in the Cagayan Valley. In July 1912, the 16th Infantry returned from its second tour in the Philippines for duty at the Presidio of San Francisco. Two years later, the regiment was transferred with the 8th Brigade, commanded by "Black Jack" Pershing, to the Mexican Border to help secure it from Mexican bandits and paramilitary forces commanded by Francisco "Pancho" Villa. On arrival in April 1914, the regiment was posted to Camp Cotton in the city of El Paso. For the next two years, in addition to the normal garrison duties, the troops conducted foot patrols along the dusty Mexican border. In March 1916, Villa raided Columbus, New Mexico, which, in turn, caused President Woodrow Wilson to order Pershing to take an expedition into Mexico to find Villa. Assembling a largely cavalry force, Pershing selected two infantry regiments to accompany the Pancho Villa expedition, the 16th and 6th Infantry Regiments. The long march into the interior of Mexico was hot and dusty. After several weeks of movement between Colonia Dublán and El Valle, the 16th Infantry finally settled in the latter place in June. There the soldiers built mud brick huts for quarters and returned to a garrison routine, except for occasional patrols into the nearby mountains and valleys to hunt for rumored Villistas. Though the cavalry had several clashes with Villista and federal forces, the infantry had an uneventful eight months. In February 1917, Wilson recalled Pershing's expedition from Mexico. As part of the new 1st Expeditionary Division, soon to become known as the "Big Red One," the 16th Infantry sailed from Hoboken, New Jersey, and landed at St. Nazaire, France, near the end of June 1917. As such, it was among the first four American regiments to arrive on French soil in World War I. Soon after the regiment's arrival, the 2nd Battalion, 16th Infantry was selected to show the flag and parade through Paris on the 4th of July 1917. The battalion conducted a five-mile march through the streets of the city to Picpus Cemetery where General John J. Pershing and the other Americans in attendance paid homage at the tomb of the Marquis de Lafayette, hero of the American Revolution, and declare, "Lafayette, we are here!" Prior to being committed to battle, the 16th Infantry Regiment, began training in July 1917 in the Gondrecourt area with the French 47th Division, Chasseaurs d'Alpines, nicknamed the "Blue Devils." Throughout the summer and fall the training went apace and soon it was time for exposure to actual combat. On 3 November 1917, while occupying a section of trenches near Bathlémont, the 16th Infantry became the first U.S. regiment to fight and suffer casualties in the trenches during World War I when it repelled a German night raid. In the months that followed, the 16th Infantry would sustain even more casualties in defensive battles at Ansauville, Cantigny, and Coullemelle. The regiment's first major attack was made during the bloody three-day drive near Soissons in late July 1918. Along with the rest of the Big Red One, it relentlessly attacked until a key German rail line was severed forcing a major withdrawal of the enemy's forces. The regiment also participated in the First U.S. Army's huge offensive to reduce the St. Mihiel salient in September. Arguably the regiment's most gallant action was the grueling drive that liberated the little village of Fléville in the Argonne forest region on 4 October 1918. This feat was significant in that the 16th Infantry was the only regiment in the entire First Army to seize its main objective on the first day of the Meuse-Argonne Campaign. To this day that action is celebrated annually during the 16th Infantry Regiment's Organization Day. The 16th Infantry also participated in the 1st Division's final drive of the war when the division attacked to seize the city of Sedan. The verve and vigor of that drive demonstrated the regiment lived up to the division's new motto, "No mission too difficult, no sacrifice too great—Duty First!" During the Great War, the 16th Infantry suffered its greatest number of wartime casualties to date, all in a single year of combat. It sustained 1,037 soldiers killed in action or mortally wounded, and 3,389 wounded. In addition to the 7 campaign streamers earned by the regiment and the 2 Croix de Guerre granted by the French government, its soldiers were awarded at least 97 Distinguished Service Crosses. The 16th Infantry, along with the rest of the 1st Division, marched into the Coblenz Bridgehead in late 1918 to perform occupation duty there for the next 9 months. In August 1919, the division received orders to come home and boarded ships at Brest, France, later that month. In September 1919, the regiment returned to the United States and was posted initially to Camp Zachary Taylor, Kentucky, then to Camp now Fort Dix, New Jersey. In 1922, the regiment was transferred to Fort Jay, Governors Island, New York and became U.S. Army's "show" regiment for New York City. Due to its popularity, Mayor Fiorello H. La Guardia later nicknamed the 16th Infantry as "New York's Own" and ''The Sidewalks of New York" became the regimental song. The regiment remained at Fort Jay until February 1941 when it was transferred to Fort Devens, Massachusetts. From there it participated in the famous Carolina Maneuvers for combat training prior to the bombing of Pearl Harbor in December 1941. Pearl Harbor, 7 December 1941, found the 16th Infantry back at Fort Devens, but not for long. It departed for England in April 1942, where it joined a large contingent of US troops slated for participation in Operation Torch, the invasion of North Africa. In its first amphibious assault under combat conditions, the 16th Infantry landed on a beach near Arzew, French Morocco at 0100 hours, on 8 November 1942. Over the next three days, the regiment battled relatively light resistance from Vichy French forces and helped to capture Oran. It doing so, the 1st Infantry Division(whom the regiment was assigned to during World War II) established a permanent presence for the US Army in North Africa. During the remainder of the North African campaign the 16th Infantry fought in a number of locations to include the Ousseltia Valley, Kasserine Pass, El Guettar, and Mateur in Tunisia. For its actions at Kasserine the regiment was decorated with the Croix de Guerre by the French Government and it received its first Presidential Unit Citation for its actions near Mateur. Next came Sicily. Shortly before 0100 hours on 10 July 1943, the first wave of the 16th Infantry boarded landing craft for the assault on that island. After achieving a relatively bloodless hold on the beachhead in the darkness, the regiment pushed into the hills beyond. There the regiment was soon hit hard with an armored counterattack by German tanks. Despite numerous enemy tanks and reinforcements, the 16th Infantry desperately held on by receiving assistance from the heavy guns of the U.S. Navy and the timely arrival of the regiment's Cannon Company. By 14 July 1943, the regiment had moved through Pietraperzia, Enna, and Villarosa. Fighting against snipers and well-fortified positions, the regiment moved forward by a series of flanking movements and by 29 July had taken the high ground west of the Cerami River. In early August, the regiment reached the town of Troina in eastern Sicily. At Troina the regiment experienced some of the most bitter fighting it would see during the war. After a four-day brawl with the battle-hardened troops of the 15th Panzer Grenadier Division, the men of the 16th Infantry finally captured the town and soon after the Sicily campaign ended. Subsequently, the regiment sailed to Liverpool, England, and from there entrained on 16 October 1943 for Dorchester, to carry out seven months of grueling training in preparation for the Allied invasion of Europe. On 1 June 1944, the men of the 16th Infantry departed their D-Camps in southwestern England and embarked on amphibious assault ships at the port of Weymouth. Units of the 16th Infantry boarded USS Samuel Chase, USS Henrico, and HMS Empire Anvil, preparatory to their third—and most important—amphibious assault mission. Late on the afternoon of 5 June 1944, the troop-laden ships slipped out of Weymouth harbor and headed for the beaches of Normandy. The long-awaited assault on "Fortress Europe" began in the early hours of 6 June 1944 as the 16th Infantry Regiment moved toward Omaha Beach. As landing craft dropped their ramps, men were killed and wounded as they attempted to get out of the boats. Others were hit as they struggled through the surf or tried to run across the sand weighted down with water-logged equipment. Many were shot down, but others made it in close to the base of the bluff where they found the area mined and criss-crossed with concertina wire. Eventually, an assault section of E Company under First Lieutenant John Spalding and Staff Sergeant Philip Streczyk managed to cross a minefield, breach the enemy wire, and struggle their way to the bluff. Colonel George A. Taylor, the regimental commander, noting the small breakthrough stood to his feet and yelled at his troops, "The only men who remain on this beach are the dead and those who are about to die! Let's get moving!" Soon other troops began making their way up the bluffs along Spaulding's route while other gaps were blown through the wire and mines. By vicious fighting, some hand-to-hand, other sections, platoons, and eventually companies made it to the top and began pushing toward Colleville-Sur-Mer. By noon of that bloody day, the 16th Infantry had broken through the beach defenses and established a foothold that allowed follow-on units to land and move through. The evening of D-Day plus 1 found all of the units of the regiment ashore, many of them well inland by that time, but some were combat ineffective due to casualties. A few weeks later, at an awards ceremony on 2 July 1944, Generals Eisenhower, Bradley, and Gerow came to praise the troops of the regiment for their heroic efforts and to present the Distinguished Service Cross to a number of the regiment's officers and men. At the ceremony, Eisenhower told the members of the regiment: After D-Day, the 16th Infantry became the division reserve, and after a brief rest, continued moving inland. In late July, the regiment was still in division reserve when it was ordered to be prepared to assist in a breakout through the German line near St. Lo. After the saturation bombing of the Panzer Lehr Division on 25 July, the Big Red One closely followed the 9th Infantry Division in the breakout attempt. Two days later the 16th Infantry was launched on an attack through a break in the lines near Marigny and drove on the city of Coutance where it established battle positions on 29 July. By this time, the Germans were in headlong retreat and attempting to establish a new line well to the east. Their efforts would fail and the German Seventh Army would be largely destroyed as it attempted to escape via the Falaise Gap. Meanwhile, in an effort to keep up with the retreating Germans, the men of the 16th Infantry piled on trucks, tanks, and anything else they could find to move eastward as quickly as possible. After motoring south past Paris, the regiment caught up with the enemy again near Mons, Belgium, where it helped the 1st Infantry Division destroyed six German divisions in August and early September. From Mons, the regiment pushed on with the Big Red One toward Aachen, Germany, just across the German frontier. A 1st Infantry Division half-track plows its way through a muddy road in the Hurtgen Forest. 16th Infantry Regiment, 1st Infantry Division. 15 Feb 1945. For the next three months, the men of the 16th Infantry would experience some of the most grueling fighting of the war in the infamous Hürtgen Forest near Aachen, Stolberg, and Hamich, Germany. After sustaining very heavy casualties from enemy artillery fire and the cold dreary weather, the entire division was sent to a rest camp on 12 December 1944. The stay was short, because Hitler launched Operation Wacht am Rhein four days later and the Battle of the Bulge was on. The division was sent to bolster the northern shoulder of the bulge near Camp Elsenborn. The regiment was ordered to positions near Waywertz. For the next month, the men of the 16th Infantry held defensive positions there, conducted heavy patrolling toward the German positions near Faymonville, and engaged in a number of firefights with troops of the 1st SS Panzer and 3rd Fallshirmjaeger Divisions. All of this was conducted in heavy snows during one of the coldest European winters on record. On 15 January 1945, the Big Red One launched its part of the Allied counteroffensive to reduce the Bulge. Over the next seven weeks, the regiment conducted numerous operations in western Germany culminating in the capture of Bonn on 8 March 1945. From there the Big Red One moved north to the Harz Mountains to eliminate a German force cut off there by the rapid advance of the First and Ninth US Armies. For a week the regiment conducted several attacks against die-hard enemy troops. On 22 April, the Big Red One finished clearing the Harz Mountains and soon received orders to once again head south. This time, the division was reassigned to the Third Army for its drive into Czechoslovakia. On 28 April, the regiment arrived near Selb, Czechoslovakia, and began advancing east. For the next ten days the 16th Infantry pushed into that country arriving near Falkenau by 7 May. At 0800 that day, a net call went out to the entire regiment to cease all forward movement. The war was over. In 443 days of combat, the 16th Infantry had sustained 1,250 officers and men killed in combat. An additional 6,278 were wounded or missing in action. Its men had earned four Medals of Honor, 87 Distinguished Service Crosses, and 1,926 Silver Stars. Additionally, the regiment, or its subordinate units, was awarded five presidential unit citations and two distinguished unit citations from the United States, two Croix de Guerre and the Médaille militaire from the government of France, and the Belgian Fourragerre and two citations from the government of Belgium. Once again the regiment had fought with valor and courage to help win a war against the nation's enemies. It would spend the next ten years trying to win the peace in the country of its vanquished foe. In 1965, the 2nd Battalion, 16th Infantry Regiment and the 2nd Battalion, 18th Infantry Regiment became the first elements of the Division to deploy to South Vietnam. The battalion arrived on the USS General W. H. Gordon on 14 July 1965 as a part of the 2nd Brigade, 1st Infantry Division (United States) and debarked at Vung Tau. The troops were initially sent to Long Binh Post north of Saigon and there the battalion immediately began building a base camp named Camp Ranger. In the many ensuing operations, the elusive enemy had to be found before he could be destroyed and to find him the troops had to remain almost constantly in the field on search missions. "Search and Destroy" operations such as those conducted during Operations Mastiff, Bushmaster, Abilene, Birmingham, El Paso, Attleboro, Cedar Falls and Junction City usually found the battalion operating far from its base camp area throughout the III Corps Tactical Zone. The sites of these missions included many areas that were to become well-known to many U.S. infantrymen during the Vietnam years: the impenetrable jungles of Tay Ninh near Cambodia; Ho Bo Woods; the "Iron Triangle"; the Michelin Rubber Plantation; the Trapezoid, and War Zones C and D. In all these places, the 2nd Rangers inflicted heavy losses on enemy manpower and supplies. In March, the 2nd Battalion moved to a new home at Camp Bearcat. Once settled into its new location, the battalion received a warning order for the next operation, Abilene. Abilene was a division-level effort to find and destroy several enemy formations operating due east of Saigon. The major incident during this huge mission took place near the village of Xã Cam My and the Courtenay Plantation. On the afternoon of Easter Sunday, 11 April 1966, C Company became engaged in one of the toughest battles of the war. Encountering the D800 Battalion set up in a well-fortified base camp, the 2nd Rangers fought fiercely, often hand to hand, for hours into the night. Although the company suffered heavy casualties, over 30 KIA, its soldiers held their own until a relief force arrived the following morning. The VC battalion, however, had paid heavy toll for its attempt to overrun C Company. With over 100 killed in action and its base camp destroyed, the remnants of the enemy unit were forced to flee to avoid complete destruction as the rest of the battalion continued the search. Throughout the rest of 1966, the 2/16th Infantry participated a series of pacification operations. The overall mission of these operations was to move into a semi-populated area and conduct extended operations to find and destroy enemy troops and support areas. These consisted of Operations El Paso I, II, and III, Allentown and Fairfax. During the first part of 1967 the 2nd Rangers participated in Operation Lam Son in the Phu Loi area and Operation Junction City, the largest single mission of the war. During most of the rest of 1967, the battalion continued to conduct pacification efforts with Army of the Republic of Vietnam (ARVN) 5th Division partner units and conduct patrols, ambushes, and search and destroy missions near Ben Cat. The end of January 1968 saw the beginning of the Tet Offensive, the VC effort to overrun and win the war in South Vietnam. Both battalions of the regiment were intimately involved in the US Army's own counteroffensive operations during this period. Flush on the heels of what was a significant South Vietnamese-U.S. victory, the 2nd Rangers took part in Operations Quyet Thang and Toan Thang. These were pacification operations designed to consolidate gains made during Tet as well as start moving U.S. Army efforts more toward working with ARVN units to provide local security for key hamlets in villages in the hinterlands. In September while conducting pacification efforts near "Claymore Corners," the 2nd Battalion was suddenly redeployed by air to the vicinity of Loc Ninh to help hunt for the People's Army of Vietnam (PAVN) 7th Division's 141st Regiment. In a classic meeting engagement on 12 September, the battalion battled and pursued the 141st Regiment over the next two days inflicting hundreds of casualties and over fifty known KIA. After the operations around Loc Ninh, the battalion was assigned to the "Accelerated Pacification Campaign" in November and continued on this effort into the new year as part of the Lam Son mission in the Phu Loi area north of Di An. Throughout 1969, the 2nd Rangers performed numerous and varied missions in support of the pacification campaign. In April it joined in Operation Plainsfield Warrior in the "Trapezoid" and in numerous search and destroy missions in June and July around Ben Cat and Lai Khê. Later in July the battalion was assigned the road security mission along a section of the highway to Sông Bé Province. Known as the "Thunder Run," the route was so-named due to the many mortars, rockets, and mines the enemy used to interdict US and ARVN traffic along the road. The battalion remained engaged in that mission until September 1969 when it was transferred permanently to Lai Khe where it joined the 1st Battalion under the 3rd Brigade, an assignment which remained constant for the remainder of the war. The 1st Battalion, 16th Infantry arrived at Vung Tau, Vietnam, on 10 October 1965 with the 3rd Brigade, 1st Infantry Division. The battalion was initially moved to Camp Ben Cat in Phuoc Vinh Province north of Saigon. The division wasted no time getting this newly arrived brigade into the fight in Operation Bushmaster I & II along Highway 13 between Lai Khê and Bến Cát District in Phouc Vinh Province and around the Michelin Rubber Plantation. The Bushmaster operations were followed by Mastiff in February 1966 and the division-level Operation Abilene to find and destroy the Viet Cong 5th Division. Abilene was followed in rapid succession by Operations Birmingham and El Paso I, II, and III. On 9 July during El Paso II, the 1st Rangers participated in the Battle of Minh Thanh Road. After the El Paso missions, the battalion next took part in Operation Amarillo in August near Lai Khê, and Operations Tulsa/Shenandoah in October and November. The latter mission was designed to bring the Viet Cong 9th Division to battle in War Zone C, but the enemy declined to take the bait. Operation Attleboro once again saw the regiment's two battalions operating on the same mission to find and destroy the 9th Division, this time northwest of Dầu Tiếng District. The last mission for the battalion for 1966 was Operation Healdsburg near Lai Khê in December. In January 1967, the 1st Battalion next joined in Operation Cedar Falls, a major effort conducted by the 1st and 25th Infantry Divisions, the 173rd Airborne Brigade and the 11th Armored Cavalry Regiment in Military Region 4, known as the "Iron Triangle" and the Thanh Dien Forest. Cedar Falls was followed by the enormous and extended Operation Junction City. The 1st Rangers participated in two major fights during Junction City: Prek Klok and Ap Gu. In the former battle, Platoon Sergeant Matthew Leonard from B Company was mortally wounded while demonstrating indomitable courage and superb leadership. For his actions he was awarded the regiment's tenth Medal of Honor. The battalion next experienced two additional significant firefights during Operation Billings north of Phuoc Vinh in June. These were the battles of Landing Zone (LZ) Rufe and LZ X-Ray. During the latter action, the Reconnaissance Platoon of the 1st Battalion withstood an attack by a battalion of the Viet Cong 271st Regiment and prevented the battalion perimeter from being overrun. Billings was followed by Operation Shenandoah II north of Lai Khê in October which once included both Ranger battalions and culminated the major operations of both for 1967. The year 1968 was an eventful one for the 1st Battalion. Starting in late January, the battalion, along with almost the entire combat force of U.S. Army, Vietnam (USARV), engaged in the Tet Counteroffensive designed to defeat the massive Tet Offensive of 1968. After Tet, the battalion successively partook in Operations Quyet Thang and Toan Thang. These operations held the battalion's attention most of the year until late 1968, when the 1st Rangers underwent a major change. On Friday, September 13, 1968, the "straight leg Infantry" 1st/16th of the 1st Infantry Division at Lai Khê, "swapped" colors and divisions, with the 5th/60th (Mechanized) of the 9th Infantry Division at Đồng Tâm Base Camp, in the Mekong River Delta. The 1st Battalion became a mechanized infantry unit which it has remained ever since. Because of this change, the battalion soon adopted the nickname "Iron Rangers." Throughout 1969, the Iron Rangers were involved the Vietnamization process which was designed to start turning over the planning and conduct of the war to the ARVN. Even so, the battalion joined in a number of combat operations such as Bear Trap, Friendship, Kentucky Cougar, Iron Danger and Toan Thang IV. During Kentucky Cougar in August, the Iron Rangers ran into a battalion of the 272nd Regiment near An Lộc in Bình Long Province and in an afternoon of hot fighting, accounted for 29 enemy KIA and an unknown number of wounded. During the year, the battalion accounted for an additional 426 enemy soldiers killed or captured even though the ARVN were supposed to take the lead for operations. The last months in Vietnam saw the battalion working closely with its ARVN counterparts as it concurrently prepared to end its mission and redeploy to Fort Riley. The two battalions of the 16th Infantry fought in almost every campaign of the Vietnam War. During the almost five years of combat the regiment lost over 560 men, the regiment's soldiers were awarded 2 Medals of Honor (both posthumous), 10 Distinguished Service Crosses, and hundreds of Silver and Bronze Star Medals. The regiment was awarded 11 campaign streamers, as well as 2 Republic of Vietnam Cross of Gallantry (with Palm) Streamers for 1965-1968 and 1969 and the Republic of Vietnam Civil Action Honor Medal (First Class) Streamer for 1965–1970. In addition, C Company, 2nd Battalion was awarded the Valorous Unit Award Streamer for its actions at the battle of Courtenay Plantation. On 2 August 1990, Saddam Hussein's Iraq invaded Kuwait. This act precipitated U.S. military involvement in the Persian Gulf. As part of the general mobilization for this conflict that fall, the 2nd and 5th Battalions, 16th Infantry were alerted for deployment on 8 November 1990. The battalions deployed to Saudi Arabia soon after with the rest of the 1st Infantry Division (Mechanized) as part of Operation DESERT SHIELD. Operation DESERT STORM commenced on 17 January 1991 with air raids and artillery barrages on Iraqi targets, while the two battalions continued to rehearse their impending missions to penetrate Iraqi defenses and destroy the Republican Guard in zone. Concurrently, the 4th Battalion, 16th Infantry, which had deployed from Germany to the port of Dammam, Saudi Arabia, was busy supporting the war effort as well by assisting the unloading of support vessels arriving with additional combat vehicles and supplies. On the morning of 24 February 1991 the Big Red One spearheaded the armored attack into Iraq, by creating a massive breach in the enemy defenses just inside Iraq. The breach was designed to allow other VII US Corps units to pass through the initial Iraqi Army forces and drive deep into Iraq. In the initial assault the 1st Infantry Division broke through the Iraqi 26th Infantry Division, destroyed it, and took over 2,500 prisoners. In the initial stages of the operation, that is just before, during, and after the breach made in the 2nd Brigade's sector, the major problem faced by the Rangers of the 2nd Battalion, 16th Infantry was not so much enemy fire (though that was a hindrance) as was the large number of Iraqi soldiers surrendering to the troops of the battalion. By darkness of the 24th, the Rangers had not only conducted a major breach into the Iraqi defensive zone, they had also penetrated 30 kilometers to Phase Line Colorado and captured some 600 enemy troops. The following morning, the 2nd Battalion pushed on with the 2nd Brigade and quickly battled through the Iraqi 48th Infantry Division capturing its commander and destroying its command post. By the end of that day, the brigade had cut through and destroyed the Iraqi 25th Division as well and had reached Phase Line Utah where it took up a temporary defensive position. After its breaching operations, the Big Red One's 1st Brigade, consisting in part of the 5th Battalion, 16th Infantry and the 2nd Battalion 34th Armor, turned east and drove deep into enemy territory toward Phase Line Utah. En route on the 25th, the Iron Rangers also encountered a number of enemy formations, most notably the 110th Infantry Brigade. In a brief skirmish, that brigade's commander was scooped up by soldiers of the battalion. Like its brother battalion, the 5th Battalion was rounding up hundreds of enemy prisoners who had no fight left in them by this time. Ahead however, was the much vaunted Republican Guard known to be positioned at a place on the map called Objective NORFOLK. On the night of 26 February 1991, the 1st Brigade next collided with the Republican Guard's Tawalakana Division and the 37th Brigade, 12th Armored Division. The fight developed into a division-level battle and before dawn the Big Red One had destroyed both enemy formations. Enemy losses included more than 40 tanks and 40 infantry fighting vehicles. The 1st Infantry Division continued to exploit its success on the 27th by capturing and pursuing the demoralized Iraqi forces for the rest of the day. Following the Battle of Objective NORFOLK, the 5th Battalion raced ahead to assist in cutting the Iraqi lines of retreat from Kuwait City. As it approached the highway moving north out of Kuwait City and into southern Iraq, the Big Red One destroyed scores of enemy vehicles and took thousands more prisoners as the division's units advanced. About 2000, 27 February, the division's 1st Squadron, 4th Cavalry, seized the main highway leading north out of Kuwait and barred the Iraqis' escape. By the next morning, the rest of the division had taken up positions along the highway completely blocking any further movement north by the Iraqi Army. The cease fire was announced at 0800 on 28 February and the war was essentially over. While the Rangers of the 2nd Battalion were ordered to move over the ground just taken and destroy any remaining Iraqi vehicles and equipment that could be located in the rear, the 5th Battalion was ordered to the vicinity of Safwan Airfield in Iraq. There, the Iron Rangers were tasked with securing the site where on 3 March 1991 the negotiations were held between coalition forces and Iraqi leaders to finalize the cease-fire agreements. In this conflict the regiment earned 4 campaign streamers and each of the 2nd and 5th Battalions earned a Valorous Unit Award Streamer embroidered IRAQ-KUWAIT. On 10 May 1991, the division unfurled its colors at Fort Riley, Kansas, signifying its return home. 1st Battalion deployed to Bosnia in August 1999 through March 2000 along with supporting elements Fort Riley for peacekeeping operations. They were assigned under the 10th Mountain Division as part of SFOR 6. They were assigned primarily to Camp Dobol but also had elements assigned to Camp McGovern, Camp Demi and Camp Comanche. Within a few months after the initial invasion of Iraq, the 1st Battalion, 16th Infantry made its first deployment in the Global War on Terrorism. In August 2003, the Iron Rangers, equipped as a standard Bradley Fighting Vehicle-equipped battalion, deployed with the 1st Brigade to Ramadi, Anbar Province, in western Iraq. The brigade was initially attached to the 82nd Airborne Division and took over Area of Operations (AO) Topeka on 26 September. Over the next year the Iron Rangers had numerous skirmishes with Sunni insurgents in and around the provincial capital city of Ramadi. Most notably, during 6–10 April 2004 when operating with elements of the 1st Marine Expeditionary Unit, the battalion fought a protracted battle with insurgents in the city. In addition to combat operations, during this tour the Iron Rangers trained elements of the new Iraqi Army as well as assisted with the implementation of numerous civil support projects. The battalion returned to Fort Riley in September 2004. In 2006, as part of the 1st Brigade, the 1st Battalion was given a new mission to train Military Transition Teams ("MiTTs") which would deploy to Iraq to advise and assist the units of the fledgling Iraqi Army. The battalion, however, was still required to maintain its ability to participate in overseas contingency operations. As a result, the battalion was reorganized into three deployable line companies (A, B, and C) and six MiTT training companies (D, I, K, L, M, and N). Between 2006 and 2008, the three deployable companies were sent on GWOT missions overseas: Company A was deployed to the Horn of Africa and B and C Companies each served in Iraq. Concurrently, the MiTT training companies conducted one of the Army's most important training missions back at Fort Riley. This mission was carried on by the battalion until 2009 when the responsibility was handed over to the Joint Readiness Training Center (JRTC) at Fort Polk, Louisiana. In January 2006, the 2nd Battalion, 16th Infantry was reactivated at Fort Riley as a part of the newly organized 4th Brigade Combat Team (BCT), 1st Infantry Division. The 2nd Rangers were hastily reformed as a light infantry battalion under the Army's new modular concept. Just over a year later, in February 2007, the battalion deployed to eastern Baghdad as part of President's George W. Bush's Surge in Iraq. Some historians and veterans of the conflict noted that the 2nd Battalion had been undermanned when given the orders to deploy. In fact, most soldiers in 2nd Battalion—including the Command Sergeant Major at the time—had never seen combat before. The 2nd Battalion was assigned the mission of providing security in the southern area of the Tisa Nissan Qada (district) in southeastern Baghdad- a notoriously violent area which had been relatively lawless even under the reign of Saddam Hussein. The Rangers succeeded in significantly reducing the insurgent threat by focusing on heavy local patrolling using small teams and unconventional tactics. By the time the battalion departed in 2008, its areas of the Tisa Nissan Qada had become one of the most secure areas in Baghdad. On September 1, 2009, the 2nd Battalion, 16th Infantry returned to Iraq in support of Operation Iraqi Freedom, 2009–2011. This time the battalion operated in the vicinity of Bayji in north central Iraq. At Bayji, the battalion was assigned an advise and assist role with elements of the Iraqi 4th Infantry Division as well as with the local Iraqi Police forces which supported the local governments in its area of operations. After a more calm, though still dangerous tour this time around, the battalion returned to Fort Riley in late April and early May 2010, with the exception of A Company, which remained until that August. After performing the MiTT training mission for three years, the 1st Battalion began the process of reorganizing and training as one of the Army's new Combined Arms Battalions (CAB) in 2009. In January 2011, however, the 1st Battalion was deployed once again, this time on a unique mission to Afghanistan. For this deployment, the battalion was attached to the Combined Joint Special Operations Command-Afghanistan (CJSOCC-A) and assigned to support a new effort known as the Village Stability Operations (VSO) program. This program required that the battalion be broken down into squads and sometimes fire teams and distributed to selected villages throughout Regional Commands East, South, West, and North. The squads and teams worked with Special Forces Teams and other special operations forces to help the villagers raise detachments of Afghan Local Police (ALP) who would then provide security to the villages. The Iron Rangers returned to Fort Riley from Afghanistan in December 2011. Even as the 1st Battalion was returning home, the 2nd Battalion was deploying on its third overseas tour of the GWOT. As with its brother battalion, the 2nd Rangers were sent to Afghanistan for this tour, this time to the eastern sections of Ghazni Province. In April 2012 the Rangers assumed responsibility for 2 districts and 2 Afghan National Army (ANA) kandaks (battalions). The battalion conducted daily combat patrols side by side with their Afghan partner units to influence and secure the local population throughout the districts. In August 2012, the 2nd Battalion underwent its first of several expansions to its AO when it assumed responsibility for a third district and a third ANA Kandak as the Surge forces in the country were being withdrawn. The new district brought new challenges, as the Rangers began patrolling the vital Highway 1 route between Kabul and Kandahar to ensure it remained open for commercial and military traffic. With reduced forces and additional ANA partners, the Rangers began to place the Afghans in the lead militarily. ANA units readily assumed responsibility for their own districts, demonstrating the sound tactical knowledge and hard-fought experience they had gained through years of fighting and US Army mentorship. With Afghans in the lead for all aspects of the fight, and local Afghans actively resisting the Taliban and other insurgent forces, the stage appeared set for the ISAF mission to soon come to a close within Afghanistan as the battalion ended its own tour. The 2nd Battalion arrived home in February 2013. 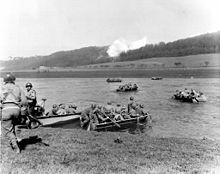 Crossing Weser river in April 1945. Bruce M. Wright, African American judge. Timothy McVeigh, PFC, Oklahoma City Bombing terrorist. The following were awarded the Medal of Honor for actions while serving in the 16th Infantry Regiment. Jay Gatsby, antihero of the novel The Great Gatsby (1925), served with the 16th at Meuse and Argonne. The 16th Infantry was the featured unit in the motion picture The Big Red One. The 16th is also the regiment Fox Company of the game Call of Duty 2: Big Red One. The 1st Battle Group, 16th Infantry, was the unit filmed in the beach landing scenes in the 1961 movie, The Longest Day (film). The 16th is the regiment where the exiled cherubim Denyel enlists in World War II in the Brazilian book Filhos do Éden - Anjos da Morte (Sons of Eden - Angels of Death). The 2-16 is the subject of David Finkel's book The Good Soldiers. The 2-16th is again the subject of another book by David Finkel. The second book, Thank You for Your Service, served as a follow on installment from his first book that chronicles the struggles of soldiers transitioning back to civilian life from the battlefields portrayed in The Good Soldiers. ^ On 4 October 1918, 16th Infantry was the only regiment in the entire First Army to take its regimental objectives in the U. S. Army's opening attacks of the Meuse-Argonne campaign. The day is still celebrated as the regiment's Organization Day. ^ Gail Lumet Buckley (2002). American Patriots: The Story of Blacks in the Military from the Revolution to Desert Storm. Random House Digital, Inc. ISBN 978-0-375-76009-9. Retrieved 26 November 2011. Clay, Steven E. (2001). Blood and Sacrifice: A History of the 16th Infantry Regiment from the Civil War to the Gulf War. Cantigny Military History Series, Cantigny First Division Foundation. ISBN 978-1890093112. A detailed, comprehensive history of the 16th Infantry Regiment from 1861 to 1991. Diary of a Dead Man, 1862–1864, J. P. Ray, ed. Eastern Acorn Press, 1981. The unedited diary and letters of Private Ira S. Pettit, F Company, 11th US Infantry. Pettit, who died at Andersonville Prison in 1864, left a fascinating account of the private soldier's life in the Regiment during the Civil War. Hero of the Republic, Bing G. Spitler, Burd Street Press, 2001. A biography of Captain James M. Cutts, Acting Field Officer of the 11th US Infantry, and third Regimental recipient of the Medal of Honor. A Dose of Frontier Soldiering: The Memoirs of Corporal E. A. Bode, Thomas T. Smith, ed., University of Nebraska Press. A memoir based on the diary of a German immigrant who enlisted in the 16th Infantry in 1877 for a period of 5 years during the latter stages of the Indian Wars. The Fierce Lambs, A.A. Hoehling, Little, Brown and Company. An account of America going to war in the spring and fall of 1917. Hoehling provides a detailed description of the German trench raid against F Company, 16th Infantry near the French town of Bathelémont on 3 November 1917, which resulted in the first American ground casualties of World War I. The Story of the Sixteenth Infantry in France, 1st Lt. Earl H. Weed, Regimental Chaplain, Martin Flock Publishing. An excellent and comprehensive description of the regiment's training and combat experiences in France during World War I. 16th Infantry Regiment 1861–1946, Featuring the 8 Campaigns of World War II, Reprint printed by Cricket Press, 1st Lt. John Baumgartner, et al. A detailed and comprehensive description of the regiment's training and combat experiences in during World War II. No Mission Too Difficult! Old Buddies of the 1st Division Tell All About World War II, Blythe Foot Finke, ed., Cantigny Military History Series. An anthology of stories and wartime experiences related by 14 World War II veterans of the 1st Infantry Division. Eight of the 14 were former 16th Infantrymen. From Omaha Beach to Dawson's Ridge: The Combat Journal of Captain Joe Dawson, Cole C. Kingseed, ed., Naval Institute Press. The focus is Dawson and G Company's experiences in North Africa, Sicily, D-Day and especially the brutal fighting around Aachen, Germany, in September and October 1944. From Classrooms to Claymores: A Teacher at War in Vietnam, Ches Schneider, Ballantine Books 1999. An interesting and very readable personal memoir of life as a soldier in D Company, 2nd Battalion, 16th Infantry, during the very late stages of the Vietnam War in 1969–70. Drafted: Greetings, You Have Been Selected By Your Friends and Neighbors, Ronald W. Mackendanz, Lake Kasota Productions. An account of the author's experiences as a draftee during the Vietnam War. Mankendanz vividly describes the 1st Battalion, 16th Infantry's fight at Binh Long in August 1969. My Journey: And the Journey Continues, Kenneth G. Cassels, E. O. Painter Printing. "Duty–Honor–Country" expresses high ideals to live by. Cassels relates such ideals here from the standpoint of the 1st Battalion, 16th Infantry's combat operations in the latter stages of the Vietnam war. Mud Soldiers: Life Inside the New American Army, George C. Wilson, Collier Books. Wilson followed the troops of C Company, 2nd Battalion, 16th Infantry through basic training and its initial reception, integration and training as a COHORT unit at Fort Riley in the early 1990s. He begins the book with a vivid account of the Vietnam era's C Company at the Battle of Courtney Plantation in April 1966. Content With My Wages, Gregory H. Murry, No End to Publishing, LLC. A fascinating account of Murry's service with A Company, 1st Battalion, 16th Infantry during the Vietnam War. Murry relates the way he saw the war during 1966–67, especially the Battle of Xom Bo II (LZ X-Ray) in June 1967. It is a well-written, very readable account of life as a grunt in the relatively early stages of the conflict. The Good Soldiers, David Finkel, Sarah Cichton Books. Finkel followed the men of the 2nd Battalion, 16th Infantry through much of its tour in southeast Baghdad in 2007–2008. Finkel describes the thoughts, fears, opinions, and experiences of these men as they attempt to stem the tide of sectarian violence during the Iraq War "Surge". Wikimedia Commons has media related to 16th Infantry Regiment (United States).